December in Florida is flush with art and sunshine as Art Basel reigns supreme. Through out Miami Beach and surrounding areas, art can be found taking center stage for contemporary/modern artists, and what better back drop than a luxury venue? 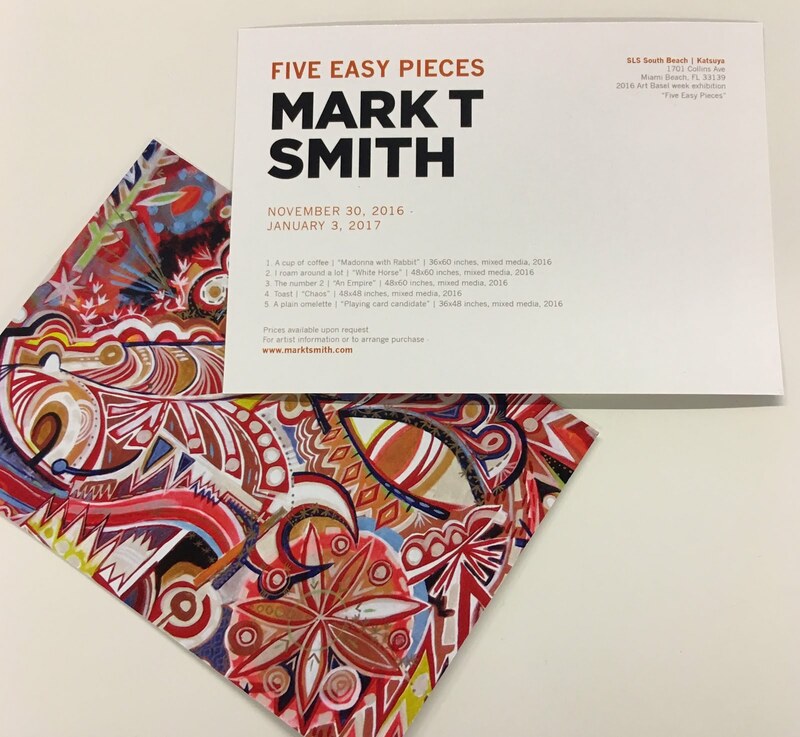 Katsuya played host to one of our very own, fine artist Mark T. Smith, showcasing "FIVE EASY PIECES" in its lavish spaces. On view until January 3rd, 2017, you still have a chance sake and dine in this excellent venue surrounded by great art!